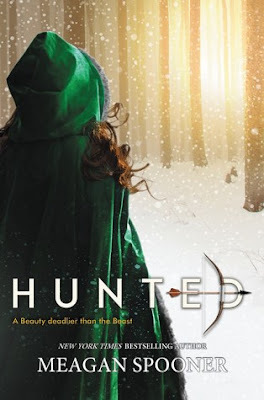 I have so much love for Hunted. My grandparents were immigrants from Russia/Lithuania and one of the stories I devoured as a child over and over again were that of the Firebird. Taking the story of Beauty and the Beast and combining it with one of my favorite mythical creatures made my heart happy. Megan Spooner’s writing of the story was spot on and I devoured every single word. I loved so many things about this story. Yeva is the kind of main character that I really enjoy. She’s strong and independent but also has her moments when I get frustrated with her. She feels like there is something she is missing and is searching for it, not settling for her life the way it is. I also like that she is able to take a step back and see things that are not in plain sight. I really like how the POV is done with the Beast because he is obviously taken over by the more feral self. I like that we see glimpses in his humanity by the way he thinks. The writing is just perfect and lyrical for the story. I really loved how Megan was able to capture that Fairytale style. I also really liked the pacing of the plot, although I always get impatient when main characters are separated. That’s just me though. I felt like this was a story of Beauty and the Beast but also with other stories weaved through. It’s definitely a read if you are looking for a Fairytale retelling.